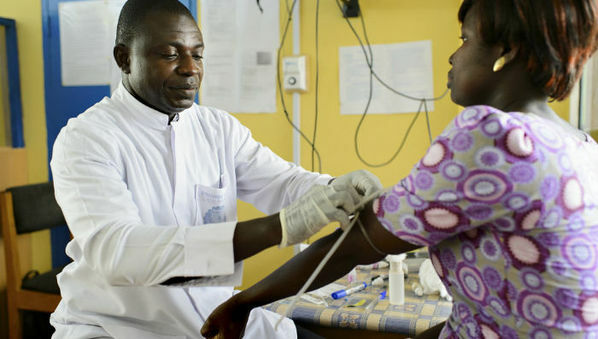 A drug used to combat malaria in pregnant women could also treat sexually transmitted infections (STIs), a study shows. Results of the study by researchers at the London School of Hygiene and Tropical Medicine found that sulfadoxine-pyrimethamine, a medicine recommended during antenatal care visit for intermittent preventive treatment (IPTp) of malaria in pregnant women in malaria-endemic areas could cut the risk of getting STIs such as gonorrhoea, chlamydia, trichomoniasis, and bacterial vaginosis. According to LSHTM researchers, about 880,000 stillbirths and 1.2 million newborn deaths occur each year in Sub-Saharan Africa. Experts say malaria and STIs increase risk of miscarriage. The study, published in Clinical Infectious Diseases last month (2 March), was conducted between November 2013 and April 2014 in Nchelenge District of Zambia. According to the study, women who had had two or more doses of IPTp-SP compared to zero to one dose had their risk of getting malaria reduced by 76 per cent while their risk of getting gonorrhoea or chlamydia was reduced by 94 per cent. The researchers also found that women who received two or more IPTp-SP doses compared to zero to one dose had their risk of experiencing stillbirth, low birthweight, preterm delivery or intrauterine growth retardation cut by 45 per cent. The research lead author, Matthew Chico, associate professor at the UK-based London School of Hygiene and Tropical Medicine, says they sought primarily to estimate the prevalence of co-infection of malaria infection and curable STIs or reproductive tract infections among 1,086 pregnant women who attend antenatal care in rural Zambia. Chico adds that the study seeks to fill the data gap, as none hitherto existed on the prevalence of co-infection. “We hope this evidence will support efforts by programme managers and policymakers to scale up the coverage of IPTp-SP,” Chico told SciDev.Net. This article appeared on SciDev.Net. Read the original version.